I confess to being obsessed with the Tudors and being an anglophile in general. I cannot help myself. I squealed when the boyfriend and I went to London 2 years ago and we visited the Tower and Hyde Park and Westminster Abbey and just everything! But mostly the Tower, because it's such a dramatic setting for a lot of the stories I love about the tragedies of the English court. So when I saw this YA telling of the story of Catherine Howard, the fifth wife of Henry VIII I knew I HAD to read it! And I'm so incredibly happy to say Gilt did not disappoint me in the least! I loved the whole feeling of the story! The court of Henry VIII is not a happy place and there's treachery lurking around and well, some people just make really, REALLY terrible decisions, but the drama of it all is intoxicating! 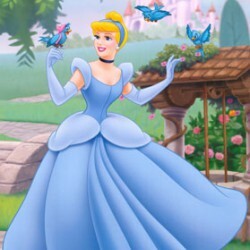 The king isn't the handsome young man he once was and he tries to deny this by marrying a young girl who makes him feel invincible and desirable again. I did feel for Henry at times, because even though he had 6 wives, he doesn't seem like he ever had a happy marriage or a wive who truly loved him, aside maybe from his first wive, Catherine of Aragon. I really liked Kitty, aside from being majorly influenced by Catherine, she's got a good head on her shoulders and knows right from wrong, even if she doesn't always act accordingly. I also loved that she didn't mistake lust for love in dealing with a handsome young man at court. And I loved her interaction with the other guy, there was a real connection there and it was absolutely wonderful. I liked that Kitty isn't fickle with her affection, even though I sometimes wanted to shout at the both of them to communicate!! But it didn't detract from the story, there were wonderful moments filled with tension and I just ate it up! As we all know, the story of Catherine Howard doesn't end well. And even though I didn't necessarily like Cat, there was something about her that had me wishing it would end differently. Somehow Katherine Longshore managed to still have me rooting for a character I disliked and it left me feeling a bit confused, but major props to the author for this! I also liked that I got to see another side of Jane Boleyn, the widow of George Boleyn. The only way I've ever seen her pictured as before was coldhearted and scheming and well, she still schemes, but not AGAINST the queen. And I liked it, it's nice to see her not be made the villain for once. Gilt does a great deal in showing how little power women actually had in those times and even if you were a queen, you could be done away with in a heartbeat. Those were scary times, especially at court, and Katherine Longshore did a great job portraying all these feelings. 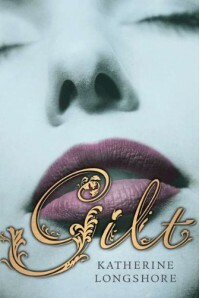 Gilt by Katherine Longshore is everything I could possibly want from historical fiction and I believed her story! I as swept up in the drama of the court and the intrigue and just all of it and I loved every minute of reading this book! And though it doesn't end with a happily ever after, because it simply cannot with a head getting chopped off, it did leave me with a sense of hope and I love it when that happens!